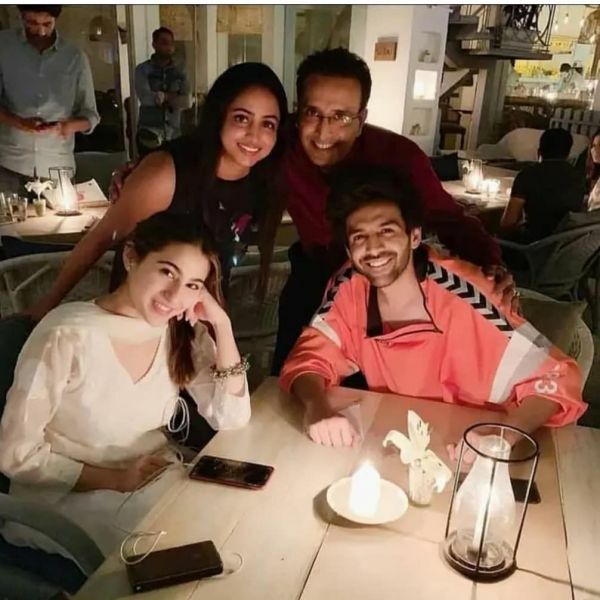 Since the day Sara Ali Khan expressed her wish to date Kartik Aaryan, the two have been constantly linked by fans and the film industry. Sara and Kartik's fans have been incessantly shipping the duo, and it seems like the universe has conspired to bring them together. Or maybe it's just Imtiaz Ali, the director of their upcoming film Aaj Kal. The movie, which is a sequel to Saif Ali Khan and Deepika Padukone's major hit Love Aaj Kal, is already creating a buzz. While shooting for the movie in Delhi, Sara and Kartik were seen riding a bike and going on dinner dates by locals and media. And don't even get us started on their leaked kiss video from the film's shooting. 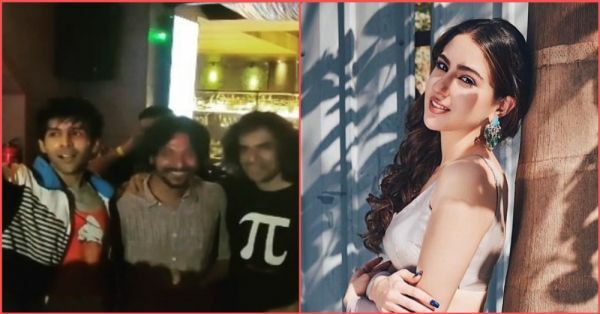 Sara recently wrapped up her portion of the Delhi shoot and flew to Mumbai ahead of Kartik while he stayed in the capital to shoot for a few more scenes. Recently, Kartik posted on Instagram and announced that the crew has finished shooting for the film's Delhi schedule. Not just that, he also posted a video of himself breaking a leg with Imtiaz and the crew to the tunes of Ahun Ahun from Saif Ali Khan's Love Aaj Kal. Some moves he's got! Kartik and Imtiaz totally set the stage on fire as they danced on the song. Now read the caption that he wrote. You did? That's right! He also mentioned that he missed his lady (love? ), Sara. Awww! In addition to the awesome dance video, he also posted a picture with the entire crew of the film. Looks like a big happy family, doesn't it? Since the announcement of the film, there have been numerous speculations about Saif Ali Khan portraying the role of Sara’s dad. However, Imtiaz decided to cast Saif as Kartik's father instead. We can't wait to watch the Saif-Sara-Kartik trio together on the big screen! Just how psyched are you for the release of Aaj Kal?